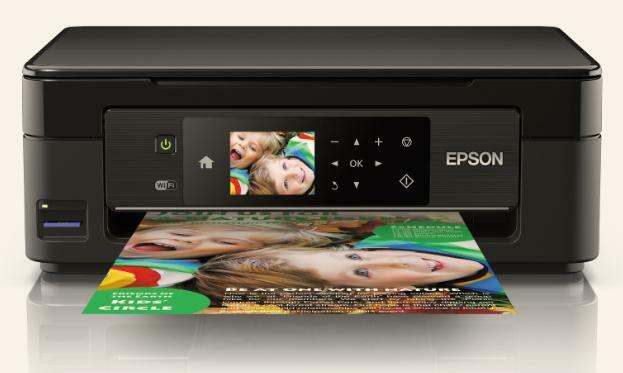 Epson Australia has unveiled its latest Expression Home range – the XP-240, XP-245, XP-340, XP-344, XP-440 and XP-442. With a new design, faster spends and updated firmware, these small-in-one printers are neat and compact, while being simple to use, affordable to run and ideal for home printing. The Expression Home models neatly combine a printer, scanner and copier in one compact and space-saving unit. Helping them blend into modern living spaces, the models feature a stylish, sophisticated and slim design. According to the company, the new Expression Home range makes it easy to save money with its individual inks. As the different colours can be purchased separately, it means that only the colour used needs to be replaced. Users can also be confident that there is no compromise on quality; the ink has been specifically designed to produce glossy photos and crisp, clean documents. Rather than being confined to a desk, many people want the freedom to print from a smartphone or tablet, or even when they’re on the go. As such, the Expression Home range has flexible, timesaving and convenient features that make it quick and simple to print. With Wi-Fi, it’s possible to send items to print wirelessly from around the home. The free downloadable Epson Connect1 mobile apps provide further versatility; Epson iPrint1 lets users print and scan wirelessly while the Epson Creative Print1 app lets users print photos directly from Facebook, create custom greeting cards, turn photos into colouring book templates and many more. In addition, the Expression Home range also includes a colour LCD screen and memory card slot, making it easier to print even without a connected PC. The new Epson Expression Home range is now available from www.epson.com.au, Officeworks, Harvey Norman, JB HiFi, Good Guys and all Epson resellers and retailers across Australia.